Northern Ireland is set to become the country without a government for the longest period in peacetime, but it will not be officially recognised. Later this month it will pass Belgium, which holds the world record of 541 days without a government. 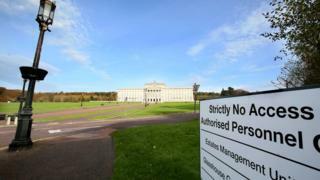 Power-sharing between the parties at Stormont collapsed in January 2017. Guinness World Records said NI was “not eligible” for the record as it is still able to have laws passed at Westminster. “While the Northern Ireland Assembly has the power to make legislation relevant to the area, it is still limited with regard to certain powers and the Westminster parliament is technically still able to pass laws for any part of the UK, meaning that Northern Ireland still has a form of government in place,” a Guinness World Records spokesperson said. Belgium set the longest period without an elected government in a democracy in 2010-11, after wrangling between Flemish and Walloon figures led to a 541-day vacuum. Northern Ireland’s system of government, where power was shared between the DUP and Sinn Féin, collapsed after a row over a flawed green energy scheme. That led to a snap assembly election on 2 March 2017, which saw the DUP and Sinn Féin re-emerge as the largest parties, but so far they have been unable to reach a deal to restore the institutions. More than 500 days have passed since the election was held and there is still little sign of a breakthrough in the deadlock – but surpassing Belgium will not make Northern Ireland’s politicians official “record-breakers”. Guinness World Records said after Belgium held its 2010 election, there was no clear majority and the discussions to form a coalition took 541 days. “Technically, Belgium had no established government for that period of time. Northern Ireland, still being part of the UK, has Westminster governing them,” the spokesperson added. There has even been doubt over how many days exactly it has been since Northern Ireland last had a government. One website, which is counting down the days until Northern Ireland breaks the record, says the country is on track to hit 589 days on 28 August. That figure – 589 – is accurate, but it runs from the resignation of the Belgian Prime Minister Yves Leterme in April 2010, until December 2011 when a new government was formed. Counting the number of days from the date Northern Ireland’s deputy First Minister Martin McGuinness resigned on 9 January 2017, would see Northern Ireland reach 589 days without a government on 28 August. On social media, people in Northern Ireland who are frustrated with the amount of time it has been since Stormont collapsed, are planning protests for 28 August. However, the 589-day figure is not officially recognised by Guinness World Records, which instead only starts the clock from the date of the last election. So that would mean counting the 541 days from 13 June 2010 in Belgium’s case, and 2 March 2017 for Northern Ireland, respectively. Breaking a world record is usually somewhat of an achievement, but it is unlikely that many would have welcomed Northern Ireland going into the history books for this one. Other record breakers in Northern Ireland, including Annalisa Wray, who holds the world record for the loudest shout can breathe easy that their accolades will not be overshadowed by Stormont, which will not be making it into the official records.